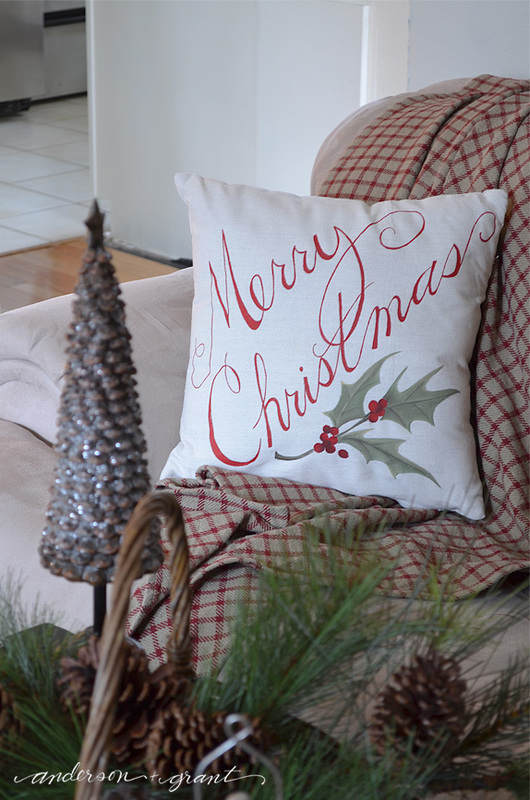 Today I'm sharing part of my home that has been decorated for Christmas as part of the Home for the Holidays open house tour. It is a group of 25 amazing bloggers who are opening their houses for you to see throughout this whole week. The links to the tour appear near at the end of this post. 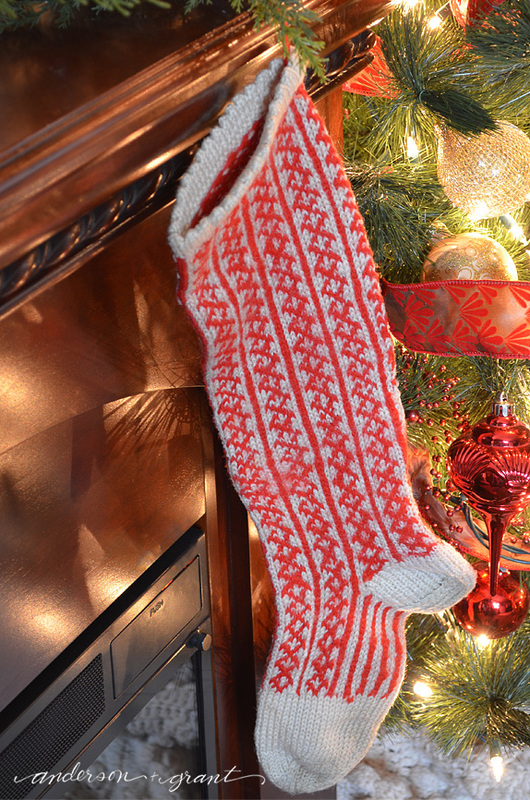 My living room mantel and Christmas tree were inspired by these great stockings I found last year at an antique shop. They are heavy, hand crafted socks and I think they are pretty unique. 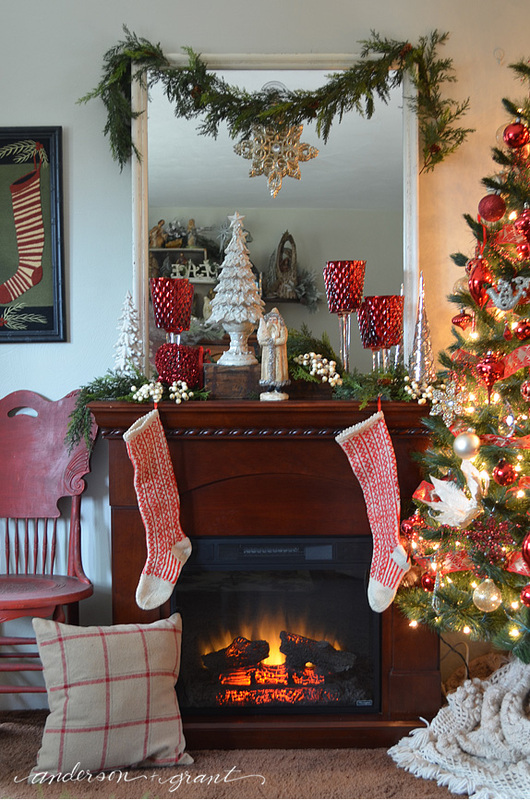 Like last year's mantel, I used a collection of trees and mercury glass candle holders on top of the fireplace. 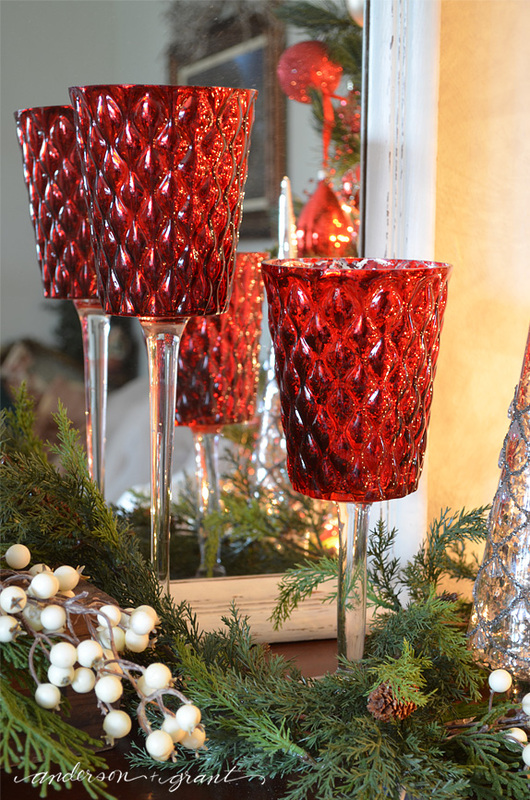 I just switched out last year's silver mercury glass in favor of red for this one and added some different accessories. 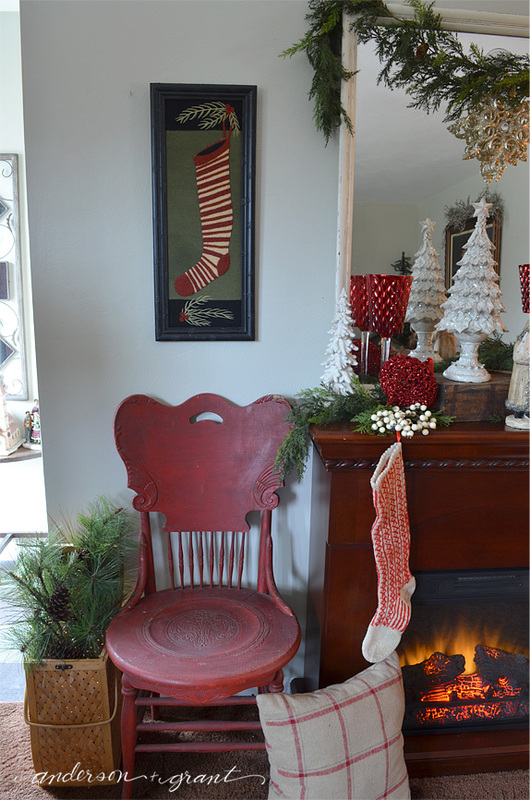 Beside the mantel, I added a beautiful antique red chair and hung a stocking picture over top of it. 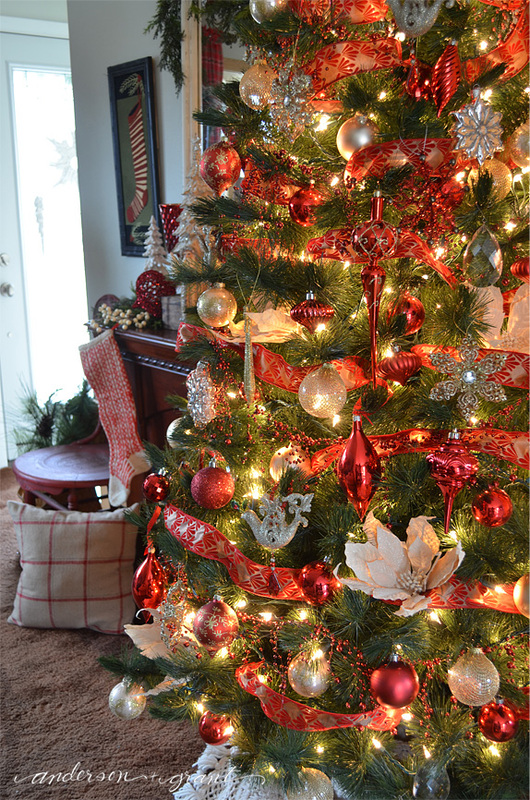 The tree skirt is actually a crocheted bedspread that my mom made many years ago. 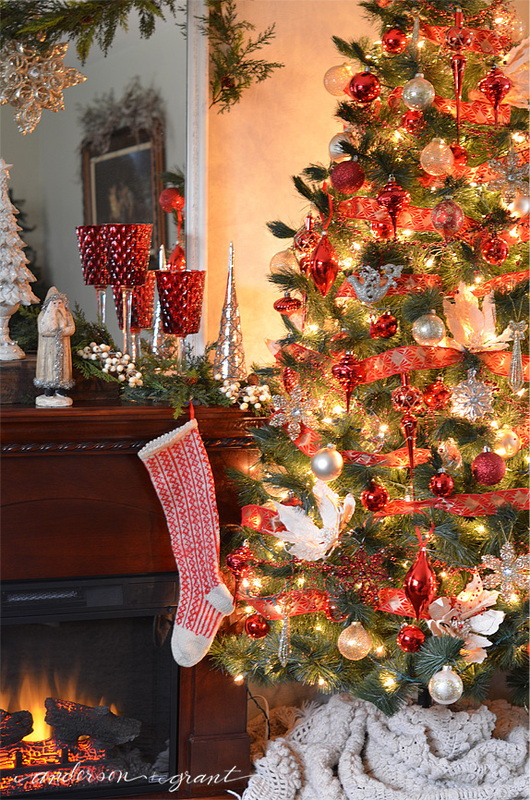 It looks so cozy wrapped around the bottom of the tree and has a great fringed edge that can be arranged on the floor. 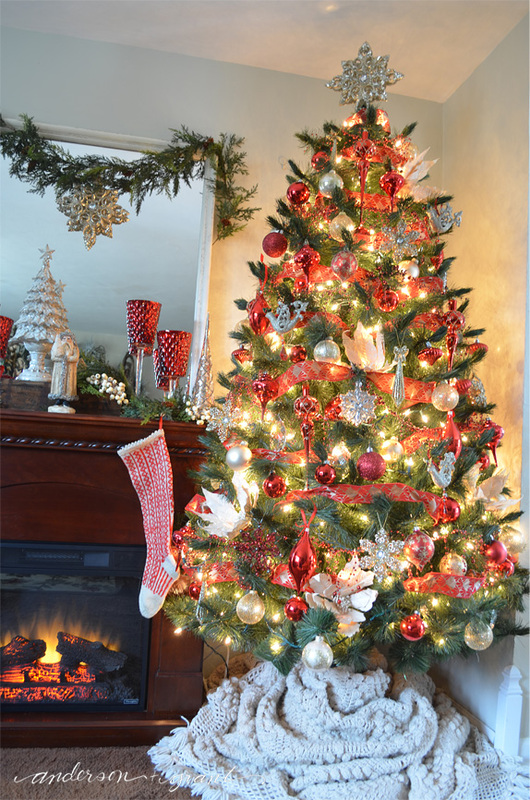 The tree is decorated with a mix of ornaments in red, cream, gold, and silver......basically any ornament I had access to in those colors ended up on this tree. 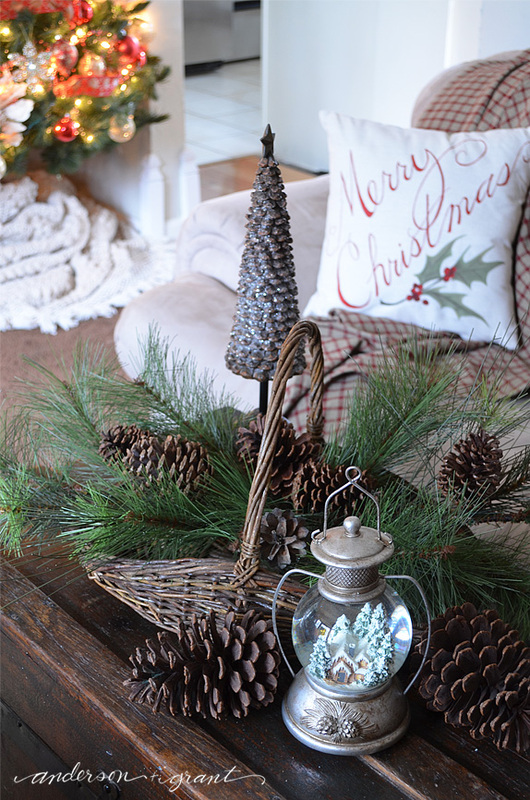 I just love how using a mixture of random ornaments can look so complete when it is done. Some are glittered while others are plain. Some are fancy shapes and some are just round balls. A few ornaments are expensive. 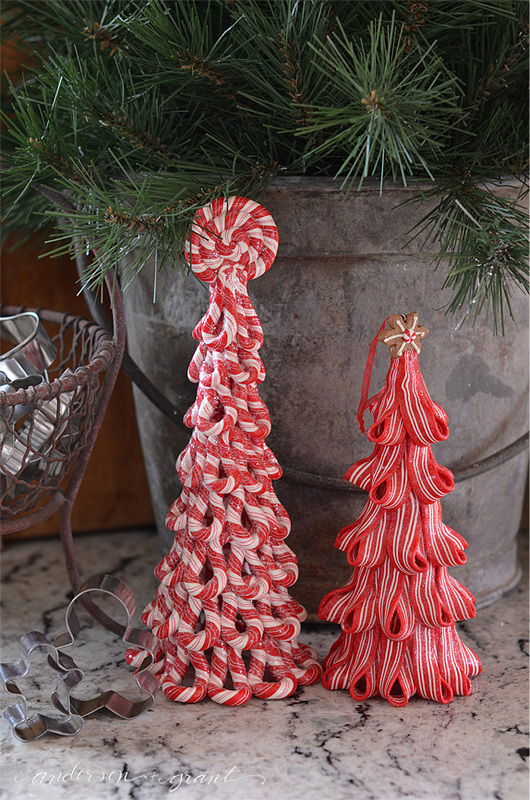 but many are inexpensive shatterproof ornaments. 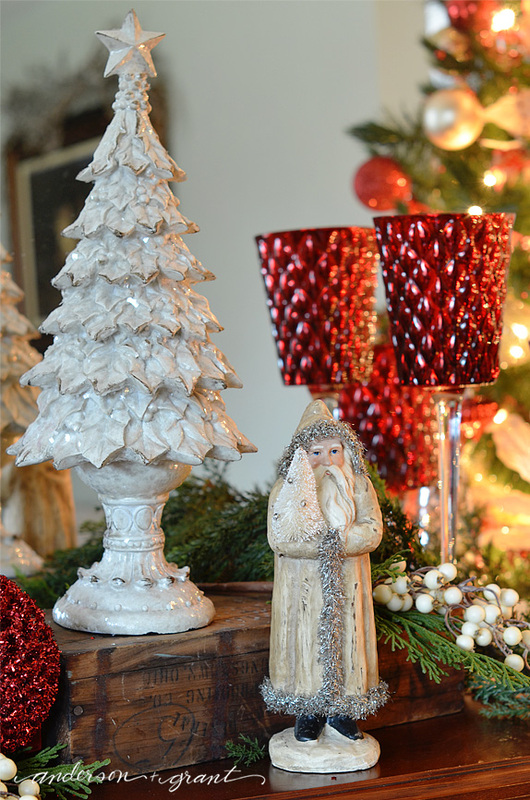 The only things that are new on the tree are a few small glittered snowflakes and the large one on top of the tree. They were purchased from Michaels. The tree topper is actually an ornament but it looked too large on the tree. It was easily wired to the top of the tree, though, and looks perfect up there. 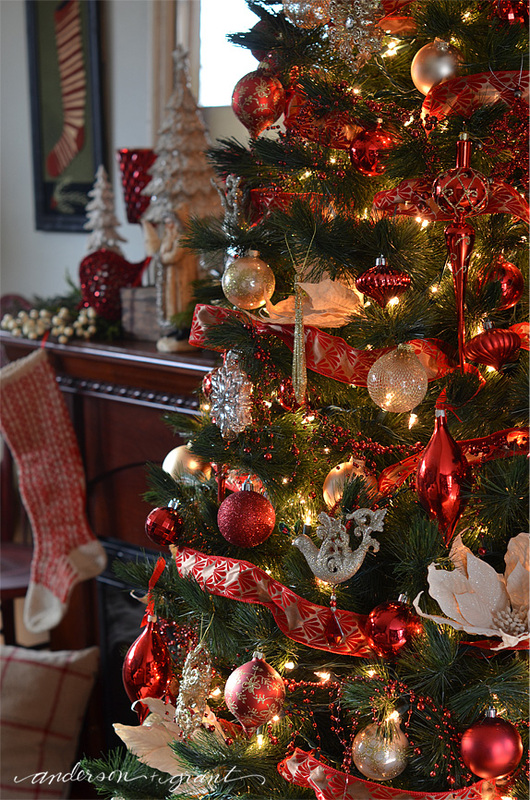 I also tucked in some cream colored poinsettias throughout the tree. 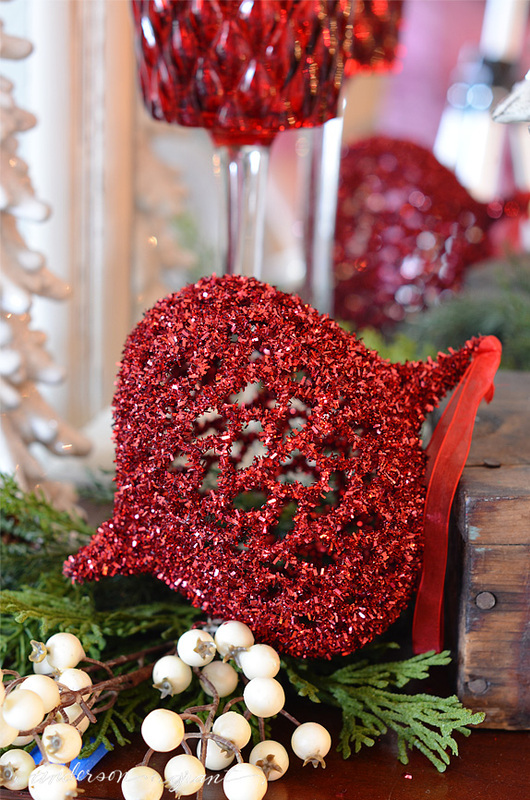 Wrapped around the tree is some gold wired ribbon embossed with the pretty red design and a lovely beaded garland. The couch has a cozy throw layered under the pillow I created for a guest post about a month ago for Kelly at Live, Laugh, Rowe. The tutorial can be found here. And now onto the dinning room and kitchen! 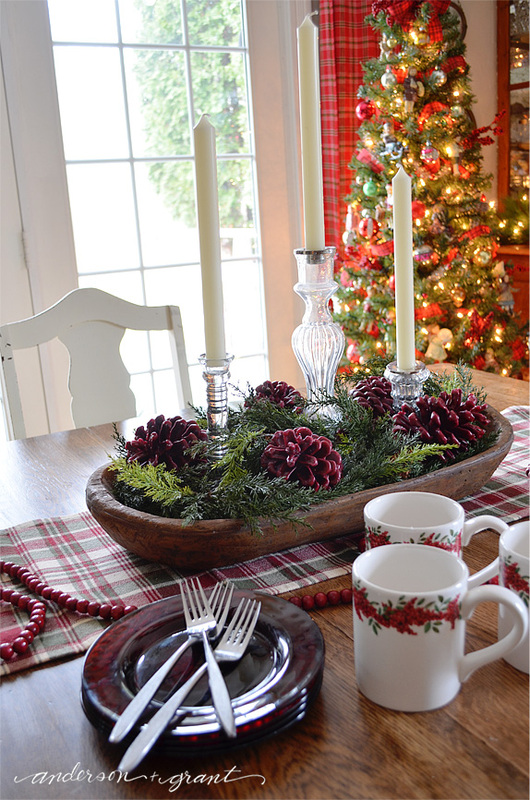 The centerpiece on the dining room table was created in a reproduction dough bowl I've used in the past. 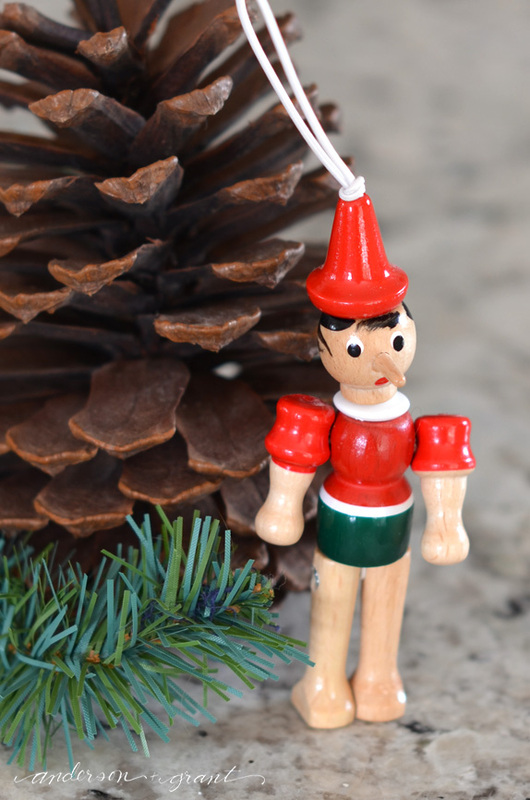 It is really a great decor piece to have (although I'd love to have a real wood one!). 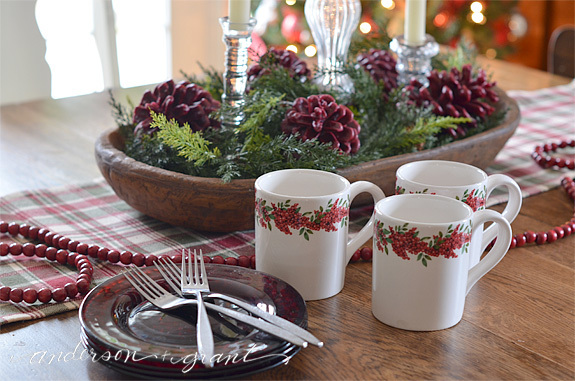 It is filled with some greenery and pinecones that have been dipped in burgundy colored wax. 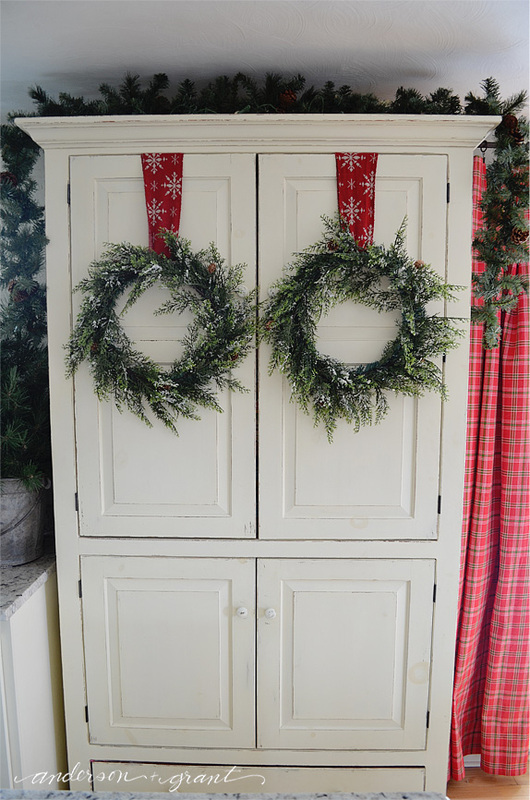 The wood pantry cupboard that I painted earlier in the year has been decorated with a couple wreaths and some greenery across the top. 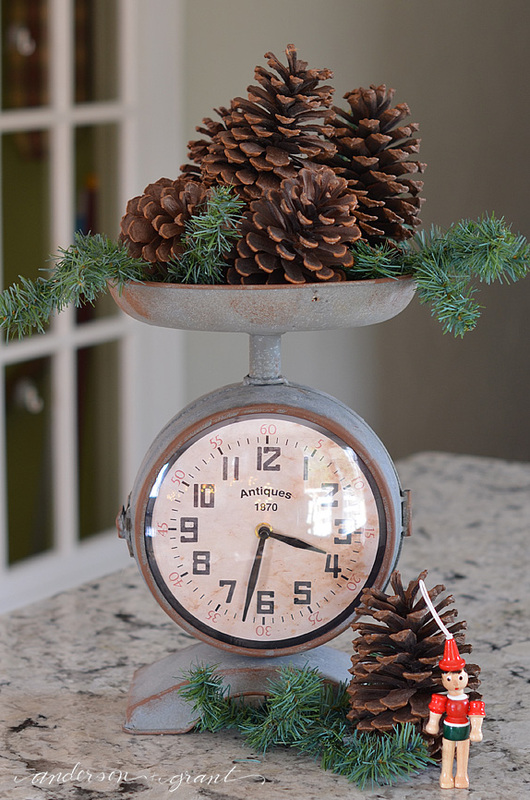 The kitchen scale clock that I shared decorated for fall has now been filled with some greenery and pinecones. 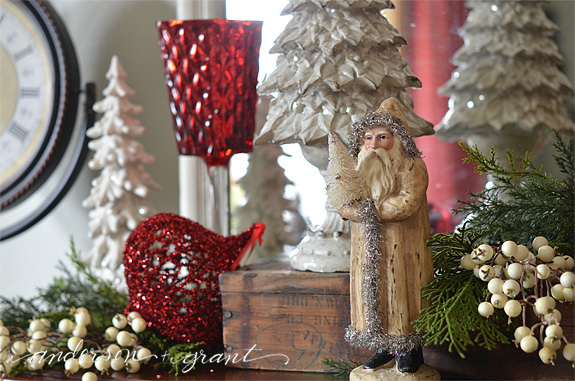 The little ornament came from Kelly of Live, Laugh, Rowe. She picked it up in Italy as a thank you for doing the guest post for her. How sweet is that!?!? 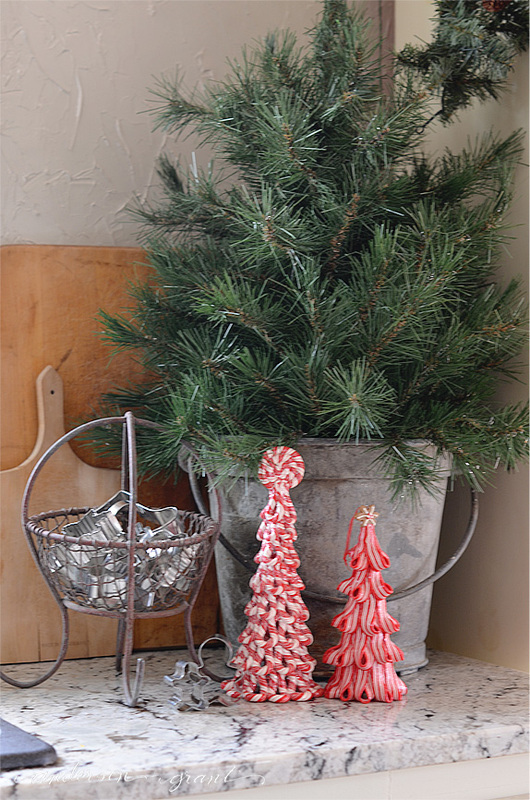 And finally tucked beside the kitchen sink is a tree in an old galvanized bucket with lots of natural patina. 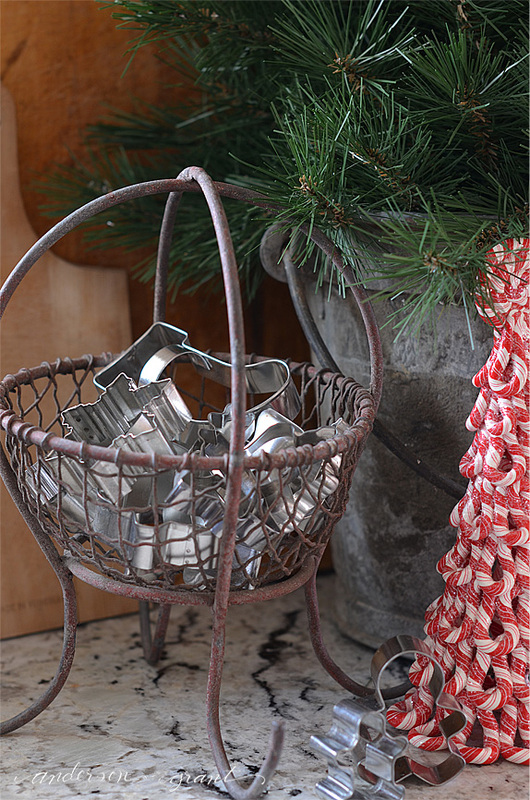 An antique mining basket has been filled with Christmas cookie cutters just waiting to be used for some holiday baking. 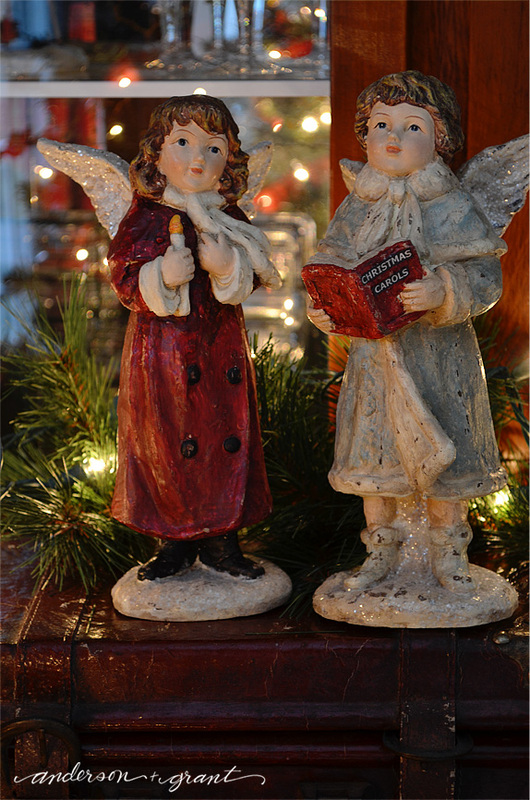 Thank you so much for stopping by today to see some of what has been decorated for Christmas. 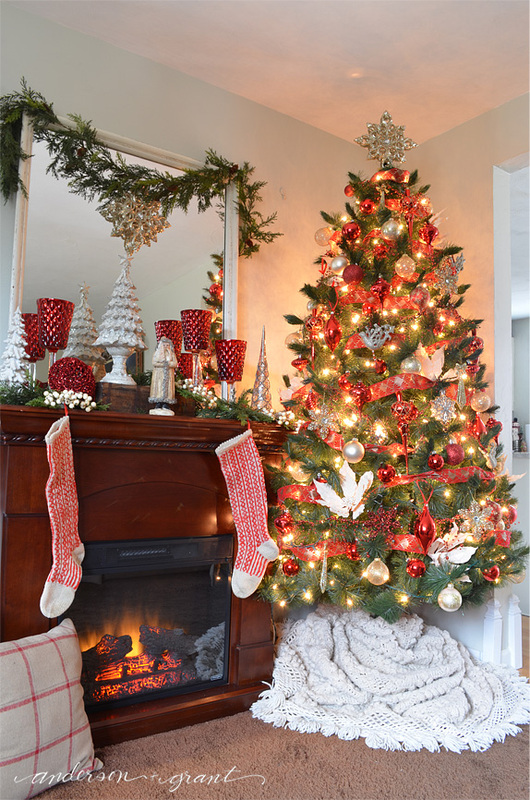 If you need a little more inspiration, be sure to check out my 25 Days of Christmas posts from last year! 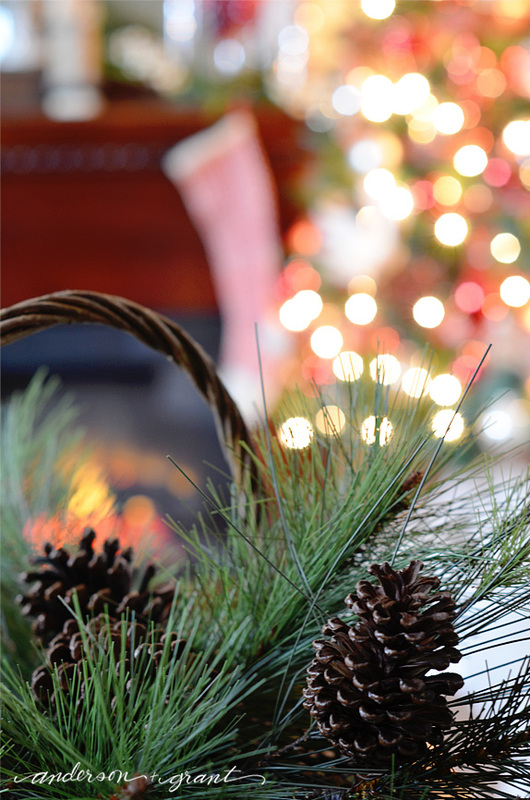 I hope that you have a very Merry Christmas and take time to find some joy and enjoy this holiday season. 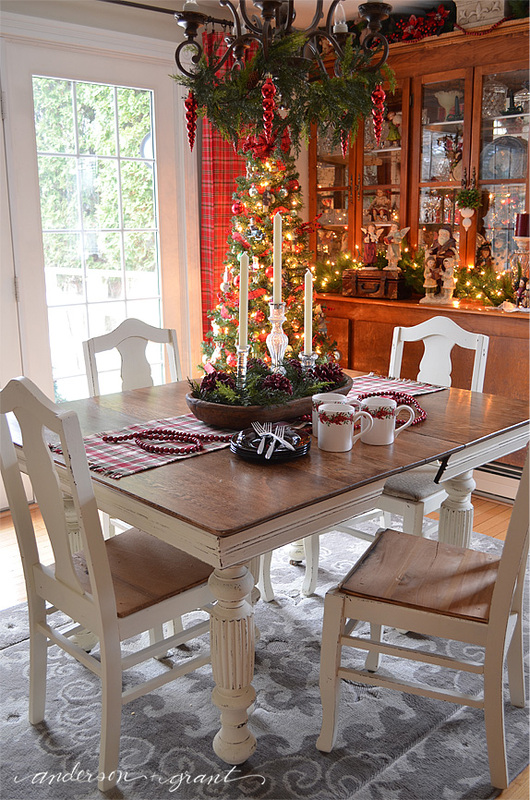 And be sure to check out the rest of the posts in our Home for the Holidays tour!